There are many things in my life I openly (to some degree) talk about. I am not ashamed of who I am or was or the things I did. I may not like some of the things I have done and may sit and think these over and over sometimes trying to make sense of it. But I am aware of who I am and what I am capable of. There are things I have done, seen, been part of and been subjected to that I may never speak of. There is different reason for each of these things. Maybe I will speak about some of them one day, when the healing starts. There are several things that I have sworn to myself that I will never repeat. There are things that I don’t remember, that suddenly comeback due to a sound or a smell or something. What I do know is that I was failed by many people in my life. People that could have protected me, should have protected me…didn’t. That statement there is why this event is very important to me and it is important to us as society. We are the daughters of the women who came before us. Keep fighting for the liberation of all women and girls today. Do you know how may females I have seen being failed by the state? Countless. How many females I see trying to be strong after life has served them yet another bad hand. Another fight to take on. I have watched clients, students, friends, family…myself…. self-destruct due to the failure of the state. Of society. I have watched people spiral into mental illness due, into dark places, due to pressure being plied onto their already heavy shoulders. Don’t get it twisted, I know males suffer the same way. But right now, just this one time, I am choosing to speak about the females in my life. The 10th of September is National suicide awareness day. Typing the word itself makes me feel different. Where do I start when talking about suicide? Its has had a massive impact on people I support, work with, friends…family. I can remember being somewhere when I was young, and it came out that someone I grew up with had tried to commit suicide. I remember thinking “They are so weak, I would never do that”. My mum used to always say to me that you should be careful about what you say you would or would not do because life has a funny way of testing you. Suicide. Its in the “Not talking about that right now” Categories right now. Not because of shame or embarrassment. Not because I wonder what people will think. Its just that its still a very private moment between me and two other people. And a few hospital staff…. I can tell you this about suicide or suicidal thoughts…. A few words can change things. The right words can change things…. sometimes. When contemplating suicide, it is the loneliest feeling in the world. You may have people you love walking around you every day and you smile along with them…when you are in the final steps of a plan to take your life. You may even be so good at hiding how empty you are that you wave your son off to work, smiles and then when he has gone, place your goodbye letter under his bed covers…. Or something like that. Maybe a few good words from a best mate and family saves you. Sometimes it does not. But it could. This is a call to ACTION!!!! I need YOU to help me do something very special on the 10th of September. Yes you! So here is what I am asking. On the 10th of September I want each and every one of us to post on our social media channels: “#Shemakesme… [insert how you feel here, for example, strong, safe, worried, proud].” about your relationship with a female that you want to show some love for! Someone you know, or someone who gives you inspiration. Name them or keep them anonymized. End your message with #FiLiA2018. Here is an example #Shemakesme feel proud daily, my daughter #FiLiA2018. You can post more than once and about more than just one person…. I will be showing my respect for at least 10 women. Share on Facebook, Twitter, Instagram, LinkedIn….email someone!!! You can post a video, what ever it takes to make as many females know that on the 10th of September…we see them…we know them…and we love them. Reach out to our females who have been affected by suicided because of a loved one. Lets make them know that we are all here and someone is listening. There is more! 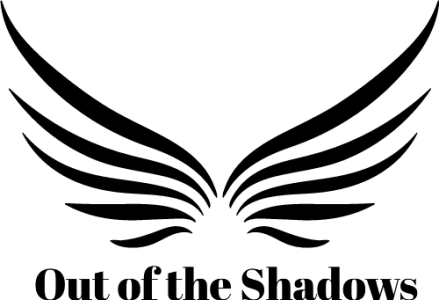 All the posts that are made by Out of the Shadows members will be collected from all the different places they are posted and the one…. the one post that makes the biggest impact will win 2 Tickets to join me in Manchester on the 20th/21st of October!! There is a n after party and everything. So, who wants to be part of something EPIC? (If you answered no, then just unfriend/follow me now fam). Please share this blog EVERYWHERE. Lets make this as big as we can. If you are affected by suicide in any way, please reach out and speak to someone. Below are some Links to some websites that can provide help and advice. Previous Post Don’t kiss your teeth at me…..